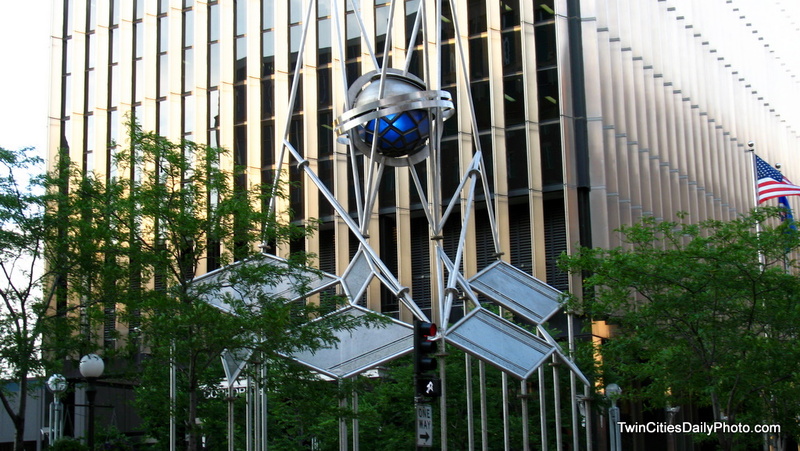 Smack dab in the middle of downtown St Paul is this artwork sculpture by Ron Fisher. I like sculptures like this one plopped in the heart of downtown. It breaks up the monotony. This is definitely cool. It looks like some crashed space ship or satellite with plenty of solar panels. Curious artwork and well placed there.